The company is testing the Coinbase holdings integration with its employees, Johnson said. "I love this stuff -- bitcoin, ethereum, blockchain technology -- and what the future holds," Johnson said at a blockchain conference called Consensus in New York City. Blockchain, a shared online ledger of transactions which first emerged as bitcoin's underlying technology, has been attracting growing investments by established financial institutions which hope it can help them save money and time. Ethereum, a type of blockchain technology which can be used to build more complex applications, has also garnered interest from mainstream corporations. Most large financial services firms have so far steered clear of virtual currencies. 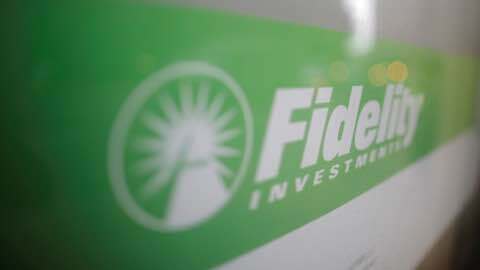 Fidelity is one of a few traditional investment companies to have also openly backed the digital currency. "We have built proofs of concepts that accept bitcoin micro-transactions," Johnson said. "We set up small bitcoin and ethereum mining operations, just done in the spirit of learning." Bitcoin hit a record high on Monday, with one unit of bitcoin trading above $2,2000 on the Bitstamp platform. Fidelity has also been testing bitcoin internally by allowing it in its cafeteria, though fewer than 100 employees made purchases using the virtual currencies, Johnson added. The Fidelity chief executive noted that usability was slowing down adoption. "If you are looking for bitcoin to beat Visa at the point of sale today, you are going to be disappointed, Johnson said. "If you are looking at this technology as just a faster settlement system for financial transactions ... also disappointing." The asset manager still has faith in virtual currencies, she added. "But I am still a believer -- and it's no accident that I'm one of the few standing before you today from a large financial services firm that hasn't given up on digital currencies," Johnson said. The company has also been investing in blockchain and has backed software company Axoni. Investing: "Fidelity Adds Digital Currencies To Website"